Editors Note: “Price is Right” is a running column from local film enthusiast Mr. Price. He reviews films that we have playing for the 2019 Seasonal Film Series. He’s completely independent of us so if he doesn’t like the film, he’ll let us know. If the review is a negative one, we’ll post a rebuttal as to why this film was chosen. “Call Her Ganda” walks a delicate tightrope, balancing and weaving together a complex assortment of themes without losing sight of the raw, human story at its core. Navigating sexuality, colonialism, and geopolitics, the film still never loses hold of the deeply personal story from which everything else comes forth. The film covers the events following the murder of Jennifer Laude, a Filipina trans woman, by a U.S. Marine. From the tragic central event, “Call Her Ganda” branches out to touch on a multitude of interwoven and connected issues. The protracted legal fallout of Laude’s murder brings to light issues of trans rights and struggles in the Philippines, a side of the story explored in large part by journalist Meredith Talusan as she endeavors to learn more about Laude’s life and death. In addition to this, though, the film touches on the geopolitical fallout of the crime. Largely represented by Virginia Lacusa Suarez, attorney for Laude’s family, this aspect of the film focuses on the tension present between the United States and the Philippines, the painful legacy of colonial rule, and the rise of authoritarian leader Rodrigo Duterte. While the film takes on these larger, more abstract political themes, it never loses sight of the story that is its central focus. Laude and the family left behind after her death is the heart of this story, and the rallying cry of the expansive political fallout in the following months. The range of themes “Call Her Ganda” explores is ambitious in scope, and decidedly risky. 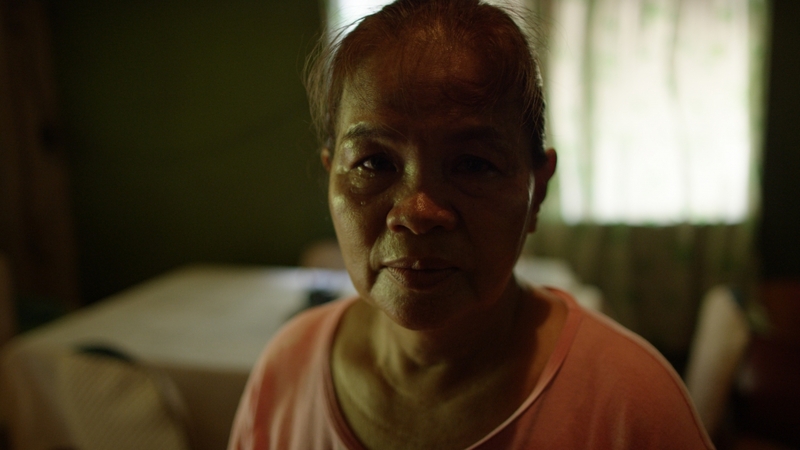 The fact that the film does justice to a variety of deeply-rooted social and political challenges while simultaneously telling the heartbreaking and personal story of Jennifer Laude is a testament to the filmmaker’s skill in approaching a story of such gravity without losing touch with the humanity at its roots. A free screening of “Call Her Ganda” will be shown this Saturday, 7:30 PM at the Miller Building at JMU. More info about the event can be found here.